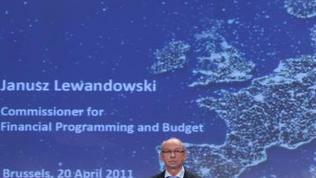 The European Commission proposed an increase of nearly 5% of EU 2012 budget. The reason for the increase is that in 2012 higher payments should be made than in 2011 so that the EU could meet its commitments, taken under the multiannual financial framework (2007-2013). According to the draft budget, actual payments amount to 132.7 billion euros, or 4.9 percent more than in 2011. Commitments amount to 147.4 billion euros, or 3.7 percent more than last year. The greatest increase in payments goes for the research programmes (+ 13.3% to 7.6 billion euros), as well as for structural and cohesion funds (+ 8.4 % to 45.1 billion euros). “The proposed increase for next year’s budget amounts to the bare minimum required to honour the Commission’s legal commitments. Any decrease below this figure would require member states and the European Parliament to break the legal commitments that have been made on existing contracts”, the Commission stated. To demonstrate solidarity with the austerity measures applied by the Member States, the European Commission is freezing its administrative costs for next year. To this end, some expenditure was significantly reduced - for buildings, information and communication technology, studies, publications, missions, conferences and meetings. Furthermore, the Commission does not require any additional new posts. 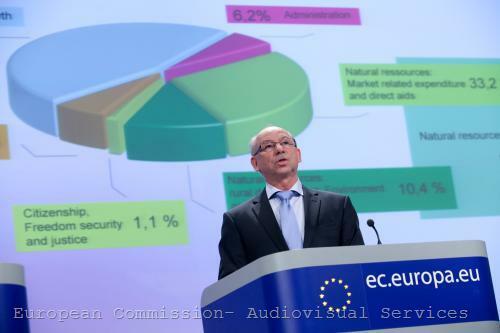 Only 6% of EU budget goes for the functioning of the European institutions, the Commission underlined. In early April the European Parliament voted its own 2012 budget to be increased by only 2.3 percent, which is below the average level of inflation in the EU - 2.8%. Parliamentary 2012 budget amounts to 1.725 billion euros. MEPs have reduced by 13.7% the proposed figures regarding funding for political parties and foundations, information campaigns, IT, maintenance of buildings and the number of posts. The Commission has also reviewed the programmes and initiatives and has reduced the budget of those who had not delivered the expected results. The Development Cooperation Instrument has been reduced by 70.7 million euros, the Industrialised Countries Instrument has been reduced by 14.5 million euros due to high level of de-commitments in 2007 and low performance. GALILEO (the European project for a satellite navigation system) funding has been reduced by 24.9 million euros. 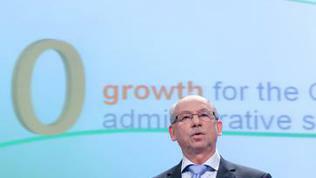 The 2012 budget provides for 57.7 billion euros to be spent for sustainable growth, to help member states increase their own investments in this direction. 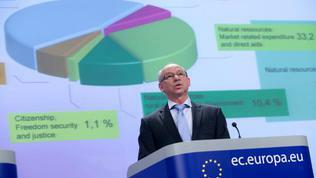 62.6 billion euros are dedicated to the priorities of Europe 2020 strategy - 5.1 percent more than 2011. An increase of 6.8% is projected in the area of Freedom, Security and Justice. 8.1 billion euros or 6.1% more than 2011 are provided for combating climate change. 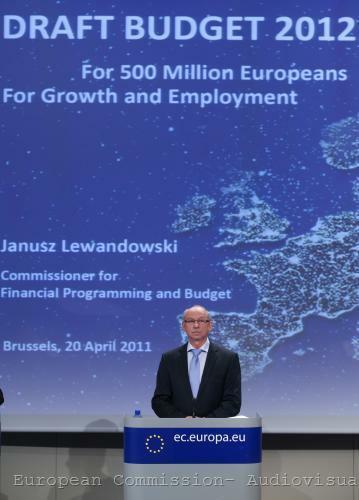 Budget and Financial Programming Commissioner Janusz Lewandowski defined the draft EU budget for 2012 as “a delicate balancing act combining austerity and growth boosting measures”. Not accidentally, Mr Lewandowski gave for an example the project for an electric interconnection between the United Kingdom and Ireland, where the overall EU contribution is over 100 million euros. Only in 2012 the EU should pay for the project 24 million euros, which is twice as much as in 2011. Exactly the United Kingdom is the Member State which is most actively urging the EU budget to be frozen until 2020 because of the austerity measures undertaken by the Member States. This time too the country's reaction was immediate and extremely negative: “We want the best deal for the UK taxpayer and a 4.9% increase in the annual EU budget is not acceptable. We'll be working closely with other member states to drive the hardest possible bargain”, a British government spokesman said, quoted by media in Brussels. As euinside wrote, during the December European Council the United Kingdom initiated a letter, supported by Germany, France, the Netherlands and Finland, which called for a long-term freezing of EU budget until 2020. The British position is that EU spending should reflect the reduction of costs at national level. This request met the resistance mainly by the new member states, led by Poland, who benefit the most from the European funds and would be most affected by a reduction. Based on the Commission proposal, negotiations will begin between the Council (the member states) and the European Parliament. The first reactions of the two largest groups in Parliament were expected and confirmed the division between the right and the left, demonstrated during the vote on the economic governance package in the Parliamentary Committee on Economic and Monetary Affairs. The largest parliamentary group – the European People's Party (EPP) welcomed “the emphasis on growth and cohesion” in the draft EU 2012 budget. 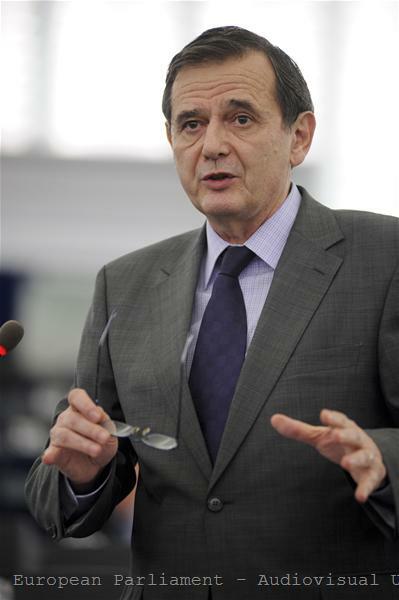 Mr Marian-Jean Marinescu (Romania), EPP Group Vice-President in charge of Budget and Structural Policies commented: “The EU budget has an advantage in that it is more investment focused, a feature that can complement Member States' efforts to counter the effects of the economic crisis. 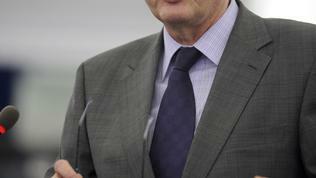 For 2012, the Commission was right to propose intensifying investment into growth and jobs, and research and innovation”. According to the EPP, it is very important to avoid waste or duplication of spending, so it would examine the numbers in detail. Just the opposite is the position of the Group of Progressive Alliance of Socialists and Democrats (PASD). 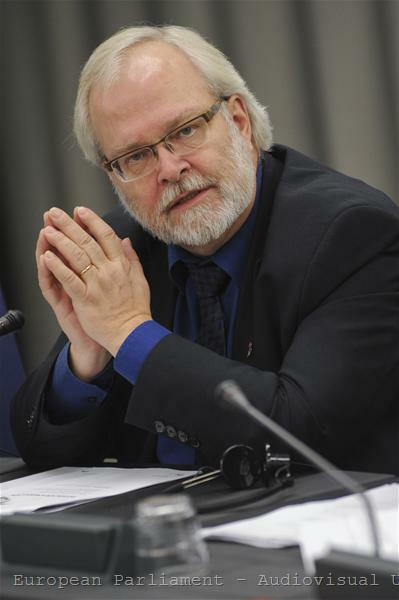 PASD budget spokesman Goran Farm (Sweden) said: “There is a strong temptation in some EU capitals to cut EU spending because of the need to cut national deficits. This approach is counterproductive. […] Substantial cuts would benefit richer member states only in the short term but in the long term they would harm the European economy as a whole.” According to the Socialists, “one well spent euro invested by the EU can save many euros in member states”. 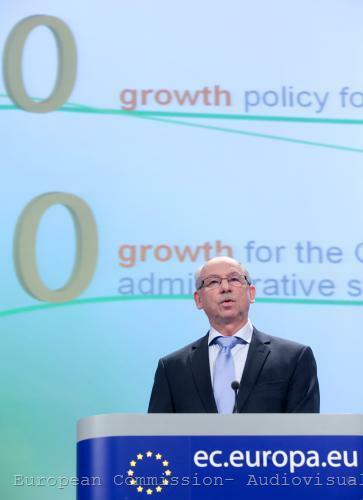 The EU will need at least 1.8 billion euros in the next 10 years to implement Europe 2020 strategy for growth and jobs. In addition, the next year budget should allow the Union to fulfill its global responsibilities, in the wake of the Arab Spring and unrest in North Africa and the Middle East, the Socialists reminded. 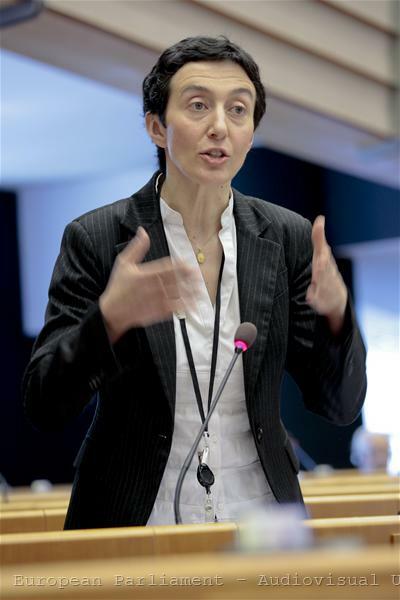 S&D Euro MP Francesca Balzani (Italy), who will lead the negotiating team of Parliament said that “in these difficult times, we need more than ever an EU budget that encourages and backs up member states' efforts to promote growth and investment as part of improved economic governance”. According to her, we observe “an alarming drop in public investment and if current trends continue, we risk hindering the future growth and economic recovery of Europe”. The negotiations on EU 2012 budget will likely repeat those on 2011 budget, which led to a real risk the Union to start the year without an approved budget. A last-minute compromise has been reached, but the principal positions have not changed. On the contrary, disputes become tense in anticipation of the new EU multiannual financial framework and the insistence of different parties in the legislative process to change its priorities.